Remarketing & Liquidations is a team of highly driven and self-motivated individuals who are working in a fast-paced and fast-growing environment. 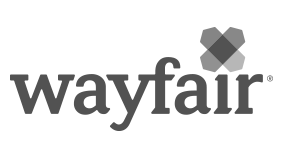 Our goal is to manage and drive operational efficiencies within the liquidations space by working cross-functionally with teams within Wayfair Warehouses, Delivery Agents, Logistics, and Engineering. Coordinate across external partners, carriers, delivery agents, and warehouses to ensure on-time purchase and pick-up of liquidation loads. Identify operational trends that will drive initiatives for process improvement. Keep an open line of communication with the team’s business partners to ensure problems that arise follow the proper escalation path. Strong administrative skills, ability to prioritize, delegate, and meet deadlines. Problem solving mindset with strict attention to detail.